On Sunday, July 1, Mexicans will cast ballots to elect a new president and more than 3,400 posts. 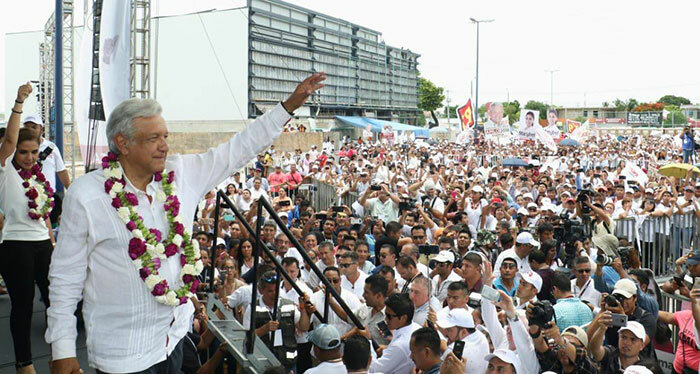 Andrés Manuel López Obrador, or AMLO, is the clear favorite to win, with a solid lead in most polls. Not everyone is happy about this. Some business leaders see AMLO as “Mexico's most dangerous man.” Part of this perception stems from AMLO’s populist impulses, but much of it is because few have a clear sense of the policies he will pursue. AS/COA President and CEO Susan Segal joined Nick Parker and Luis Oganes from J.P. Morgan to discuss the impact an AMLO victory could have on NAFTA negotiations; reforms to the energy industry; and corruption, security, growth, and other issues dominating the campaign. Get poll numbers in our tracker.